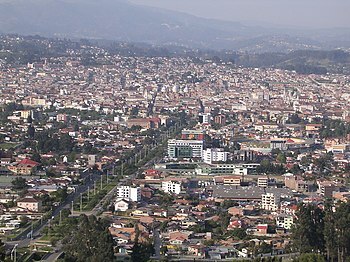 I got this wonderful article on assisted living facilities in Cuenca, Ecuador. You can read the original here, with pictures: Ecuador . The picture and article is very nice. Contrary to popular opinion, 3rd world countries can have excellent medical care. For example, I go to this Indian fast food restaurant. He said that rich Arabs come to India for medical and hospital care. Since they can come anywhere in the world – including the US and Europe – why India? Some great hospitals and medical care. After all, according to the World Health Organization, we rank in the mid thirties. To see who beat us, see the Business Insider article at Business Insider . But you really need to do the research. 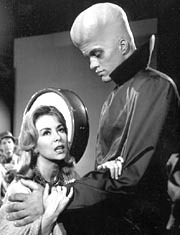 Ever see a Twilight Zone episode called To Serve Man? (see Twilight Zone ). Imagine these 9 foot talk travelers came to earth and solved all our scientific and world problems. Then they invite us to visit where they live. Would you go? Not without the proper research – I say. Are there blogs and forum entries from expatriates ? None? Red flag! What does the terrain look like? Google maps can help immensely there. Any finally, have you learned their language? If you have, then a reading of the book “To Serve Man”, can be very educational. If you are going to Latin America, you need to know Spanish. No way around it! Unless you go to Brazil. Then you need to know Portuguese. Fortunately, I will have a good solid foundation in Spanish and a good working knowledge of Portuguese, before I go anywhere. Because of our Latin word origins, about 60 percent of the common vocabulary is common to English, Spanish and Portuguese. You need to just change some English endings. Lastly, we do have a STEP program at STEP , run by the state department. It’s free and all should enroll. Research is the key ingredient. Recently, I wanted to do a routine car battery check. I went to my local Auto Zone store. They said I needed a new battery. I had them do an alternator check. They said everything was good. I then went to a couple Advanced Auto Parts store. Both ran tests. I noticed the tests were more comprehensive then those ran at Auto Zone – both for the battery and alternator. The alternator is good and the battery just needed a charging. I lastly went to an O’Reilly auto parts store, for a final battery check. They mentioned the battery was showing fully charged. The moral? Don’t take as gospel the first “professional” opinion – whether medical, contractor, mechanic, etc. Do the research. Sorry, The Kanamits are inviting me to lunch. The set up a restaurant at a US location called Terminus. It’s my play on a popular AMC TV show, with a bit of Twilight Zone thrown in. Time to go.